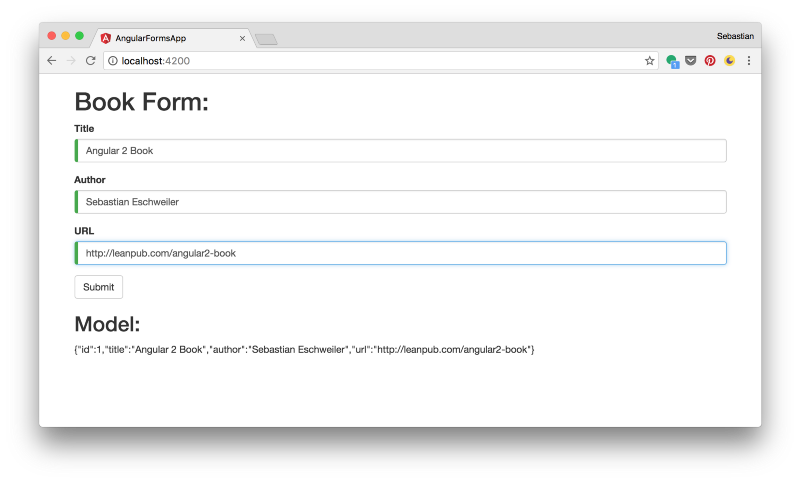 In this second part of the Angular 2 Forms series we’re going to focus on another important aspect of form creation: input validation. 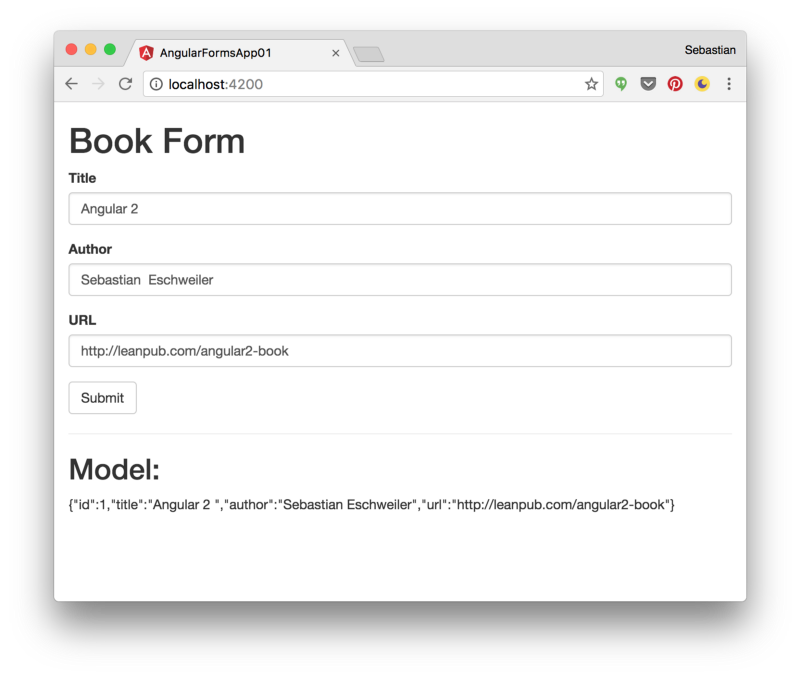 Angular 2 makes form validation very easy. In the following you’ll learn how to use apply form validation by using HTML validation attributes and Angular 2 validation functionality. Form validation in Angular 2 is based on HTML validation attributes. HTML validation attribute are used in input elements. One validation attribute has already been applied to all three input elements of our form: required. The required attribute defines that entering a value in the input field is mandatory. A full list of HTML validation attributes can be found at https://developer.mozilla.org/en-US/docs/Web/Guide/HTML/HTML5/Constraint_validation. To implement that constraint we’re adding the HTML validation attributes minlength and maxlength to the input element. Herewith we make sure that only valid URLs starting with http:// or https://can be entered in this input field. Title must be at least 5 characters long. Title cannot be more than 30 characters long. Must be a valid URL! NgIf is used to only display the content of this element if the assigned expression string is valid. The expression becomes valid if the control is in an error state (title.errors is true) and at the same time the control is marked is dirty (title.dirty is true) or is marked as touched (title.touch is true). This ensures the error messages are not displayed initially. If the dirty flag is set the value of the input element has been changed by the user. If the touched flag is set to true the control has been visited by the user. The hidden attribute is bound to the negated value of the respective error. E.g. if title.errors.required is true (which means the field value is empty) the hidden attribute is set to false, so that the error message is displayed. First, a red border is display on the left side of the input controls, indicating that a value is missing. If the user starts typing the and the field constraints are fulfilled the color changes to green. The validation logic we’ve implemented so far is specific for single input fields of the form. We’re able to extend the logic to also take into consideration the validation status of the complete form. The evaluate if a form is valid or invalid can be useful to e.g. control if the form can be submitted or not. With that code in place we’re able to retrieve the validity status of the form by using bookForm.form.valid. Only if all input controls of the form a valid the form becomes valid too. Now the submit button is only enables of the form is in valid state.